A man has their responsibilities in life, and one of those things is being a father to their child – especially if they have a son. When you discover that you have a child, your life changes and your priorities shift. How far would you go to provide for your child? Ryan Gosling emphasized just what he would do to take care of his child, and not only did it affect him, but it also affected Bradley Cooper, a cop, who is also a father. This movie took a spin on what it’s like to affect a generation for the future. 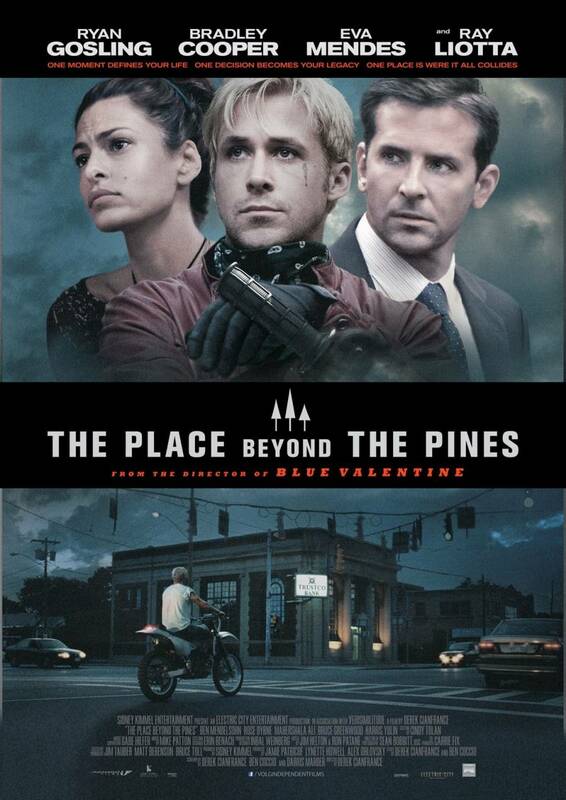 I hadn’t known anything about this movie besides the fact that Ryan Gosling chimed in his role from Drive, picked up a motorcycle instead of a car, and got some tattoos (oh, and he had more dialogue). The song ‘Bank’ by Pac Div is the first thing that came to mind, because in a sense, it starts as a heist movie, but then it does a full 180, but at the same time, everything connects to each other as the movie moves along. Bradley Cooper reminded me of Russell Crowe’s character in American Gangster, because of his honesty as a cop. Two men with two sons and the story is mainly about how their lives intertwine without knowing that they’ve been connected for so many years prior. I liked this movie because there was a lot of drama surrounding it invoking suspense, raw emotions, and it kept you guessing as to what was going to happen next. The whole movie felt like a giant puzzle piece the way they were connected. It did feel as long as it did, but in order to tell the story, build anticipation, and make sure that everything made sense, I can understand – because there was 1 story altogether, but it broke off into 4 pieces. The look of it was grungy and could have passed for an early to mid-90s made movie, but I felt that it was well done. I’d watch it again simply because these are the type of movies that I like, but if you’re not really into it, I can imagine that you’d be bored immensely, I can definitely admit that.